A dog at home is a good option to have company, security and affection. However, pets require protection and dedication. One of the care that can cause you difficulties is hygiene. This is why it is important to know which dog breeds are the cleanest. It is clear that the cleanest dog breeds do not imply an omission in hygiene measures that you must keep . Pets always require proper periodic cleaning. This prevents diseases, unpleasant odors and infections for you and your dog. 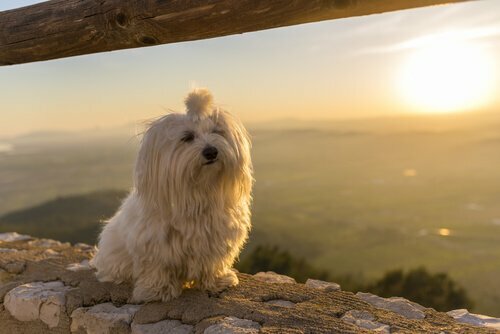 The Maltese is one of the most playful and affectionate dogs. Also, it belongs to the cleanest dog breeds, because it does not loose hair . This is because their fur is well attached to the skin. His hair is abundant, smooth, smooth and grows a lot. In any case, it is better to cut the hair for comfort and hygiene. Similarly, cleaning, hair cutting and brushing should be done frequently. In any case, the qualities of this breed facilitate cleaning of the dog and the home . Likewise, this pet adapts easily to any place in the house. In addition, it is a small dog that, despite its size, is strong and agile. 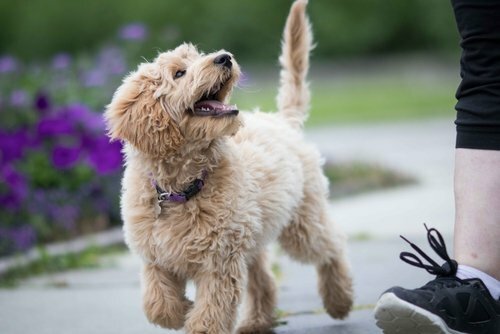 It simply requires daily walks and walks, making it an excellent companion. 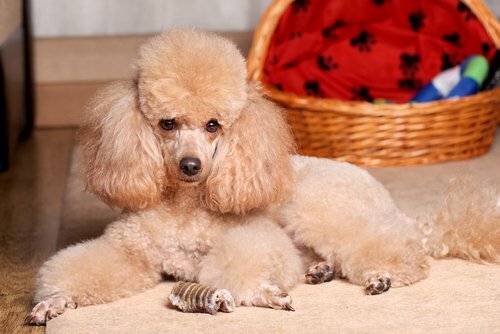 The Poodle Standard is another breed of dog that is very clean. It has curly hair, fleecy and thick, but this is consistent and stuck to the skin. This is the reason why this breed of dog does not loose fluff. As a recommendation, it is necessary to be brushed daily so that no knots are formed. Of this breed, it stands out that it is of medium size, very intelligent, active and faithful. This makes it very apt to be trained. It also highlights its elegance and nobility, which makes it an ideal pet for the home. 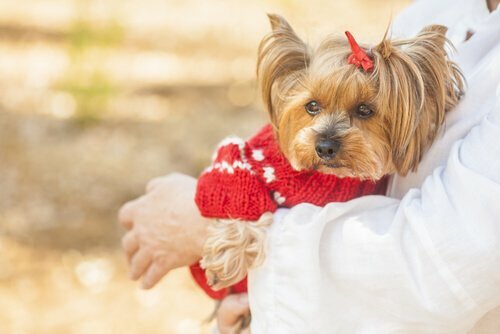 The yorkshire terrier also It is considered one of the cleanest dog breeds. His hair is long, very thin and does not fall off. However, your coat requires frequent grooming and brushing at least once a week. Although in principle it is a bit difficult, they learn well how to control sphincters. This is a small breed and very suitable for small housing spaces. They have strong, dominant personality and demand a lot of attention. In return, they are very affectionate and playful. The Boston terrier is a beautiful pet and also part of the cleanest dog breeds . Your hair is long and can be golden, white or black.They are very playful, active and require daily exercise. They are adaptable and can coexist with cats and other pets, if they are properly educated. 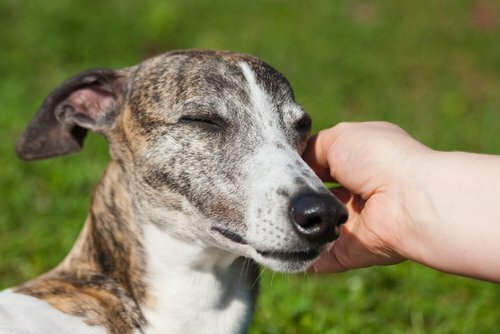 The greyhound is an agile, docile, playful and obedient dog , and have a special instinct of hunters. Also, they help a lot in cleaning, because their hair is short and firm . As for their hygiene, they only require proper cleaning occasionally. However, it is recommended to perform frequent hair brushing. It is within the breeds of dogs that does not require rigorous aesthetic care. However, it must be maintained in good grooming condition. The bathroom is on average every six or eight weeks. They also need daily walking routines because they do not support confinement. This is another breed of dog that is highly hygienic and They do not loose hair. They have variety in the texture of their fur, which can be curly, smooth, soft or rough. They are playful, they like water and have a lot of skill to swim. It is a clean race and very suitable to live with children. In addition, it does not produce allergies in those who are sensitive to suffering from these discomforts . Likewise, this pet is considered very useful to serve as a guide for people with visual disabilities. This dog is very Intelligent, active and has a special taste for water. Although they are independent, they also develop a great attachment to their owners. In addition, they require daily walking and exercise routines. 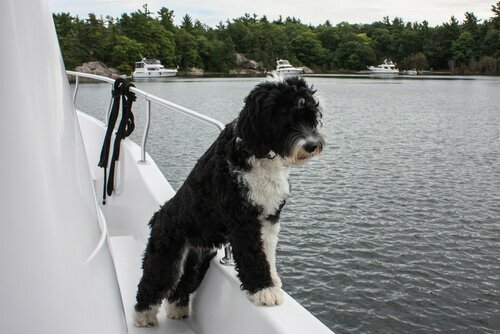 The Portuguese water dog has a wavy or curly coat and does not change its hair. It is considered a hypoallergenic race. That is, there is a very low risk of allergies in humans. In terms of hygiene, it is advisable to bathe frequently, as well as brush your hair daily to avoid getting tangled. Why do dogs wallow after a bath? Does my cat have feline asthma? This site is in no way affiliated with or endorsed by Scruffy To Fluffy. It exists as a compendium of supporting information intended for informational purposes only.